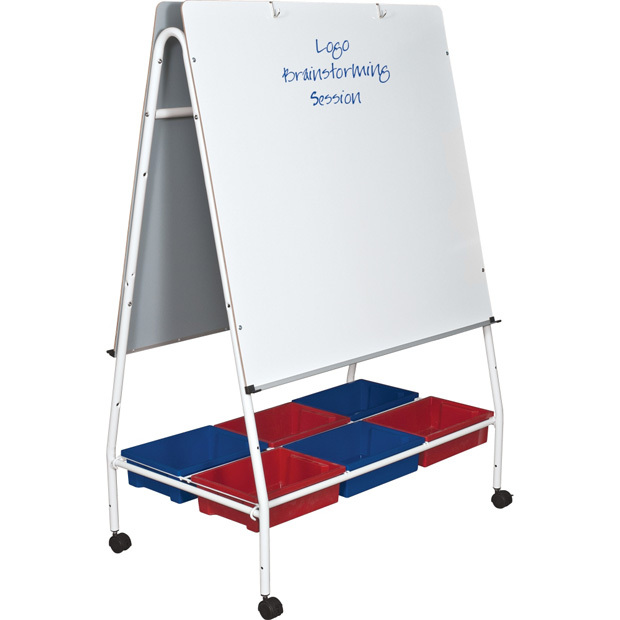 * Keep up with the changing classroom with the Mobile Lap Board Teacher Easel, designed to create flexible and functional learning environments. 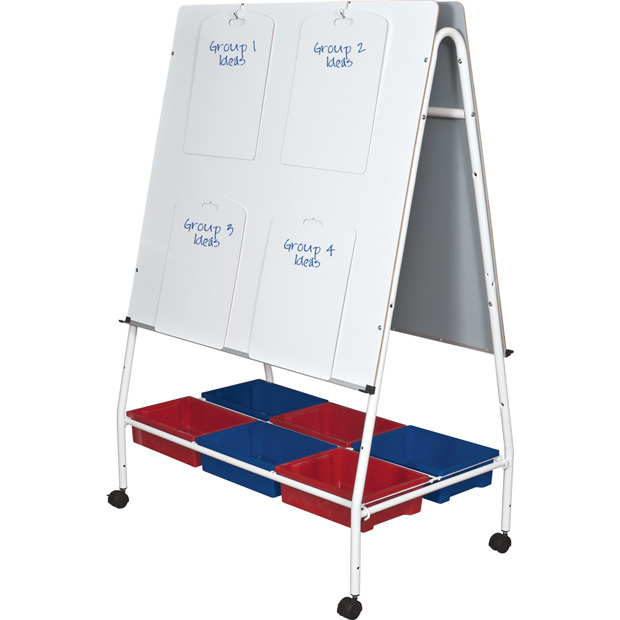 * Ideal for small group team learning and instruction, this mobile classroom on wheels includes two permanent (39.5"H x 42.5"W) and four removable (17"H x 13"W) whiteboard panels with the option to add more as your needs change. * Easel allows up to 10 panels to be displayed at once, and provides storage room for an additional 16. * Removable melamine panels are double-sided whiteboard, light weight, and the ideal size for individual use in small group settings. * Double-sided steel hooks make it easy to add, rearrange, and remove panels as needed to facilitate teacher and student demonstration and presentation. * The flexible two-level panel positioning allows teaching and presentation either at sitting or standing height. * Move panels around to foster group interaction and brainstorming. * Keep your teaching and presentation materials and board accessories convenient and easy to access with the six colorful plastic tubs included. * Easel easily spins 360° on durable locking casters. * Frame is high quality powdercoated steel. * Full length aluminum accessory tray with protective plastic end caps included on both sides. 60" x 42" x 4"